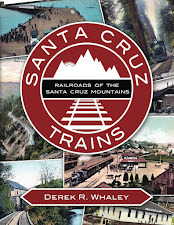 There have been many narrow-gauge, broad-gauge, and miniature railroads, as well as numerous horsecars, streetcars, and cable-hoisted car systems around the Monterey Bay, but only in one place can be gravity trains be found: the Santa Cruz Beach Boardwalk. 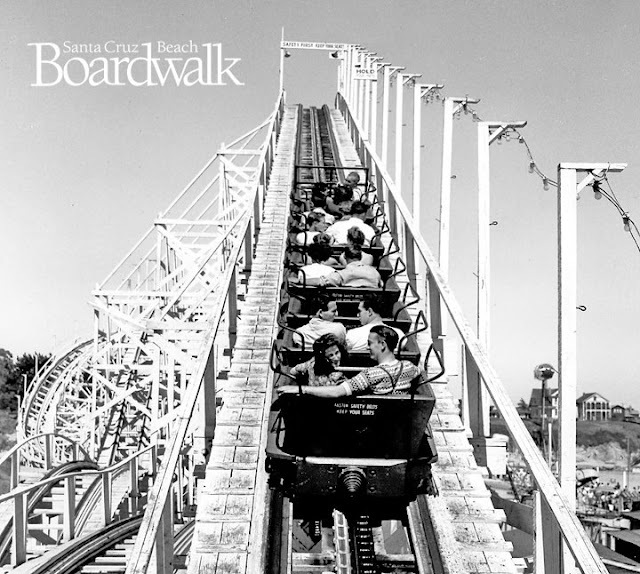 Gravity trains, or more commonly roller coasters, have been a constant at the Boardwalk since 1908, a year after the current amusement park opened its doors. The first roller coaster at the seaside amusement park was an L.A. Thompson Scenic Railway. 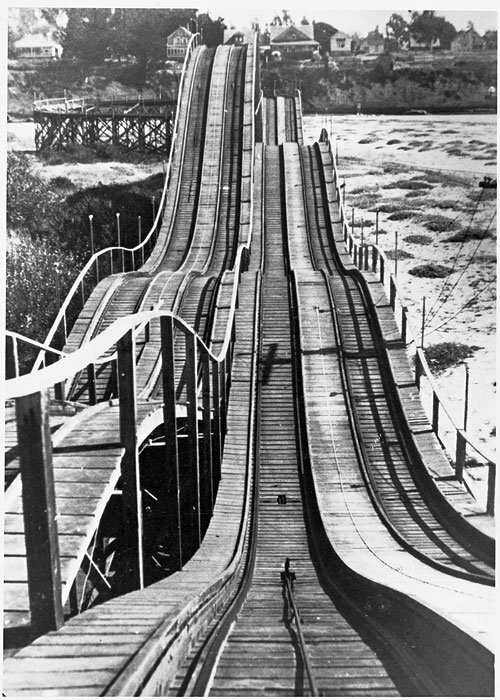 Opening in July 1, 1908, for $35,000 on the current site of the Giant Dipper, this simple wooden roller coaster featured a series of rises and troughs that headed out toward the San Lorenzo River before taking a wide loop and returning to the top of the launch platform via a steam hoist. The coaster track ran 1,050 feet (the longest in the United States in 1908), took four minutes to ride, and included dual tracks so two trains could run simultaneously side-by-side. The coaster cars could hold up to 30 people and ran at a break-neck speed of 25 mph (the street speed limit was 10 mpg). Since there were no guide rails, an engineer/brakeman stood on the back of the car in case of emergency. When it first opened, a single ride cost 5¢ for children and 10¢ for adults. Scenic Railway, showcasing the cars, c. 1910. 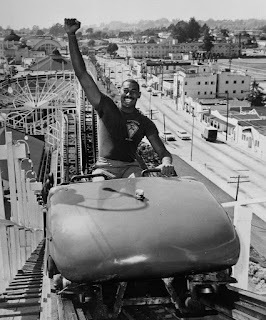 LaMarcus Adna Thompson was one of the world's first roller coaster salesmen, claiming to have invented the concept in 1884 after visiting a coal mine that charged for gravity-powered rides on coal cars. 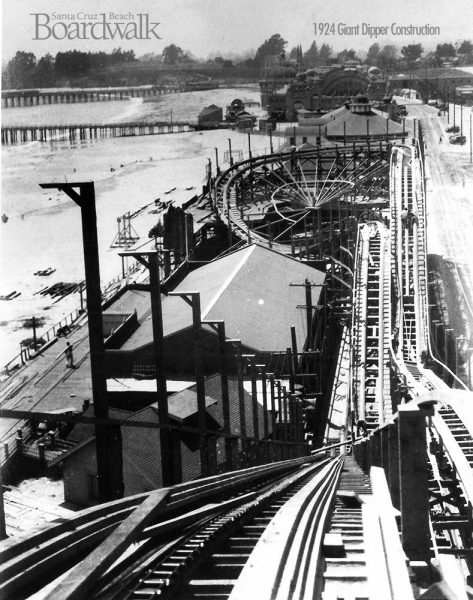 His first roller coaster, "The Switchback", was built at Coney Island, and he soon built two more, a second at Coney Island and one at Playland in San Francisco. 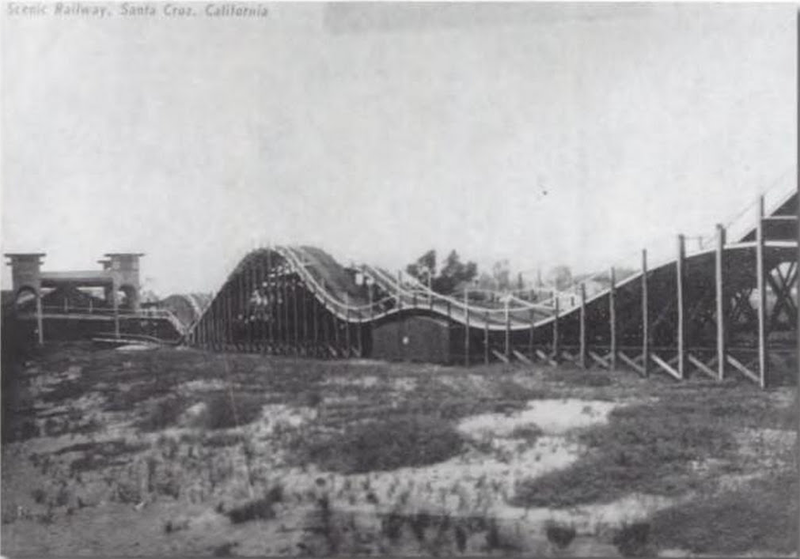 The Santa Cruz coaster was his fourth and it was built at a time before the Boardwalk extended beyond the skating rink (later the Fun House). Although the Looff Carousel would be built between the rink and the coaster in 1911, it was still a number of years before deck construction stretched beyond the site of the coaster, and nothing notable moved in beside it during most of these years. Ageing poorly compared to other roller coasters in the Bay Area, the Scenic Railway shut down after the summer season of 1923 and demolished in January 1924 to make room for a much more famous ride. Giant Dipper while under construction, 1924. Replacing the Scenic Railway on May 17, 1924, was the bold and beautiful Giant Dipper. 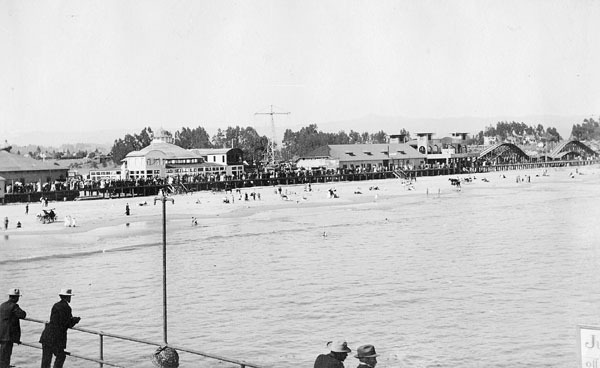 Constructed over 47 days using a kit designed by architect Frederick Church, the Giant Dipper quickly became the most popular attraction at the Boardwalk and along the Central Coast. To fund the project, manufacturer and financier Arthur Looff founded the Santa Cruz Coaster Company, which owned the coaster (and leased the space) for the next thirty years. The coaster cost $50,000, and used 327,000 board feet of lumber, 743,000 nails, 24,000 bolts, and 63,000 pounds of steel track to build. A ride takes 1:52 minutes and features a short dark tunnel before climbing 70 feet up, promptly dropping that distance at a numbing 46 mph, and then circling twice over rises and troughs before returning to the entry kiosk. The full length of the track is 2,640 feet. The only mechanised part of the route is the first climb, after which gravity and momentum control the ride. 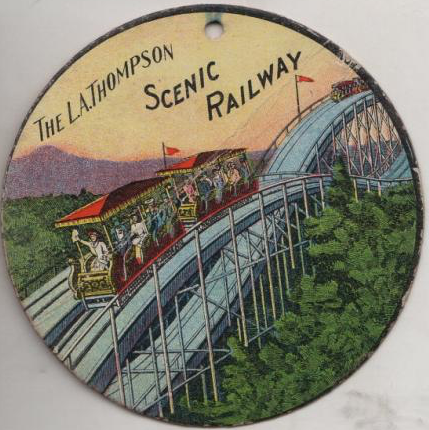 In 1924, a ticket for this coaster cost 15¢ per ride. Tickets today cost $7.00. 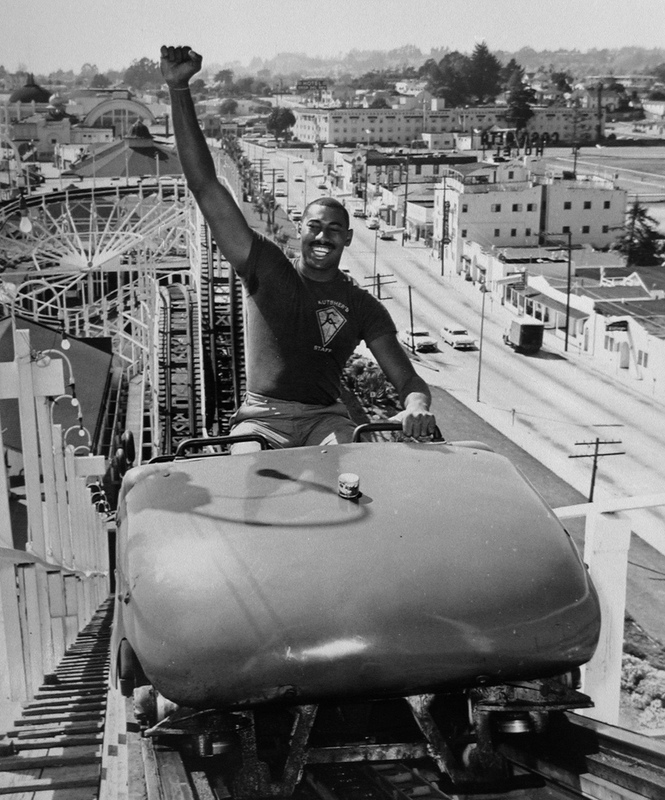 Wilt Chamberlain riding the Giant Dipper, 1968. Over the nearly 100 years since the ride first opened, there have been only three fatalities, all caused by recklessness on the part of the rider. In September 1924, a rider stood up and fell over the front of the train, prompting the addition of safety belts. Additional fatalities occurred in 1940 and 1970, the former prompting the replacement of the old, open-style cars. The coaster is now on its third car design, initially using open cars (a replica of which can be seen at Coasters Bar outside Boardwalk Bowl), more space-aged, bubble cars were installed in the mid-1940s. These were replaced in 1984 with Victorian-style cars that have been repainted numerous times but remain in place today. 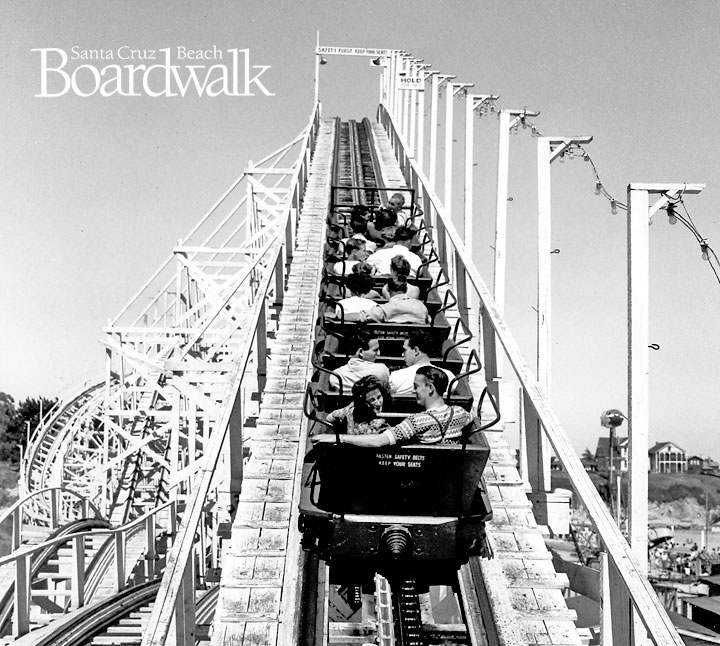 In June 1933, Arthur Looff sold the coaster to the Santa Cruz Seaside Company, parent company of the Boardwalk. 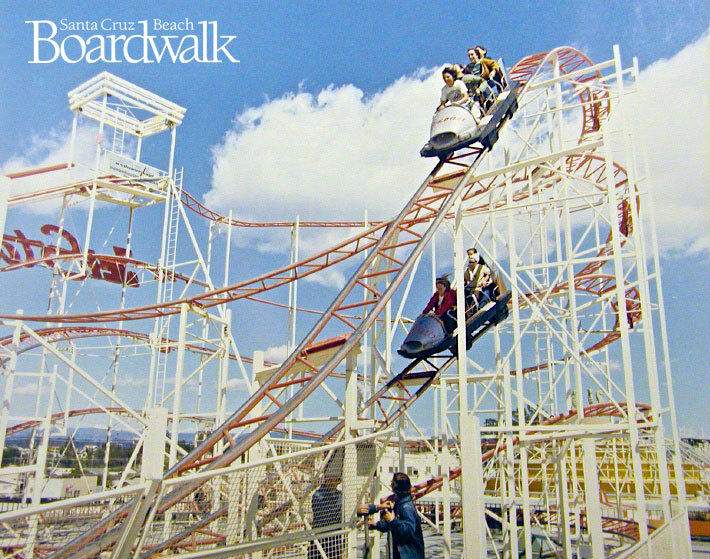 The Seaside Company, in turn, created the Santa Cruz Giant Dipper Company to operate the roller coaster, and this subsidiary remained in place into the early 1980s. The Giant Dipper is undoubtedly one of the most popular roller coasters in the world, hosting well over 60 million riders since it first opened. 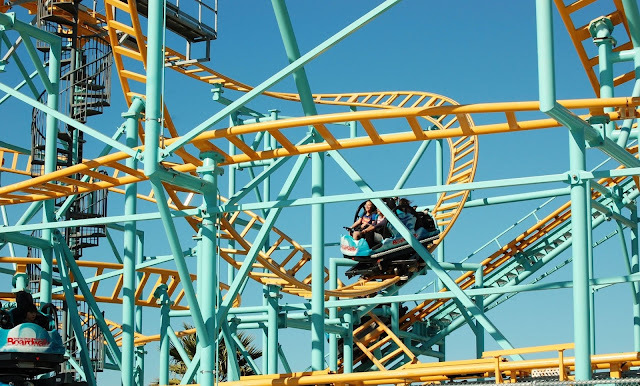 It is also the fifth oldest roller coaster in the United States and the only Frederick Church-designed coaster to remain in continuous use, its siblings at Belmont Park in San Diego and Playland Park in New York having been shut down for periods of time since they first opened. 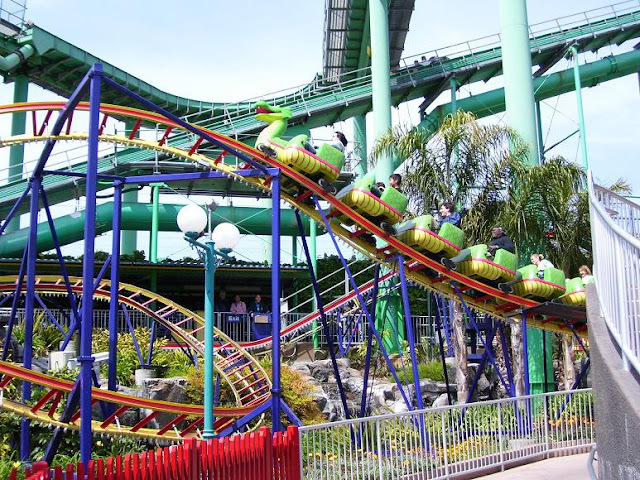 The Giant Dipper is a registered as a National Historic Landmark as well as a California State Historic Landmark, and it has won numerous awards over the decades and featured in several films and television shows. An HD video of a ride can be found here. 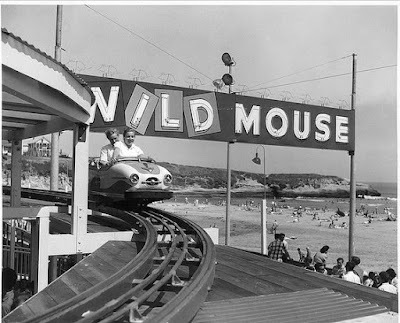 Perhaps the most forgotten and least known roller coaster at the Boardwalk is the Wild Mouse. Built in 1958 by Norris House to cater to the young teenagers emerging out of the early baby boom after World War II, this ambitious roller coaster featured sharp, unbanked turns that make one's neck kink. 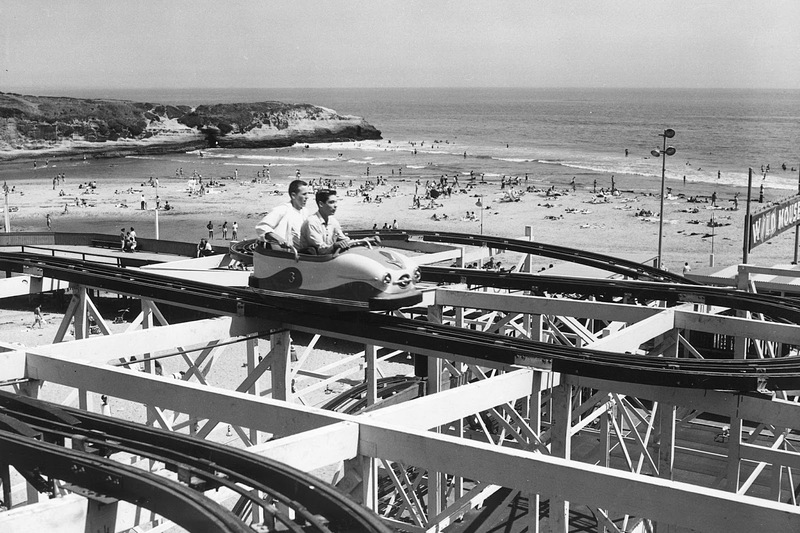 The Wild Mouse was based on a German design perfected by J. W. "Patty" Conklin and was certainly not unique to the Boardwalk—dozens popped up at amusement parks worldwide—but it was one of the first such rides built in the United States. The largely wooden coaster featured three large, jerky switchbacks followed by a number of sudden drops before it returned back to the loading area. Unlike with other coasters, the cars, built by Buchwald Gebrüder, only seated two people, one sitting in the lap of the other, and the cars resembled popular sports cars of the period. Deteriorating prematurely at only eighteen, the Wild Mouse was finally dismantled in 1976 during upgrading of the river side of the park. It its place was built, among smaller rides, Loggers' Revenge water-based log flume ride. The Jet Star in 1972, before the cars had been repainted and renamed. Joining the Giant Dipper and Wild Mouse was the Jet Star, a West German Schwarzkopf-constructed, kit-built steel behemoth that was the first truly modern-style roller coaster at the Boardwalk. Originally sold to the Boardwalk as "Ripper" (many cars in early promotional photographs still have this name), this roller coaster occupied the upper deck of a new structure that replaced the old Fun House in 1972. Operated by computer, the roller coaster rode used small, four person cars running on 1,765 feet of steel rails that criss-crossed a number of times before descending back to the loading station. Gravity was exploited to the extreme for this coaster, with the cars streamlined for maximum speed and the initial 44-foot drop delayed to build up momentum. Unlike the Dipper, up to six cars could run on this track simultaneously, adding to the sense of eminent doom. A total of eight cars were made for the ride, although they never all operated at the same time. In the nineteen years this coaster operated, two different car designs were used. The original, space-age designs were retired by the late 1970s and were replaced with more aerodynamic fiberglass molds. 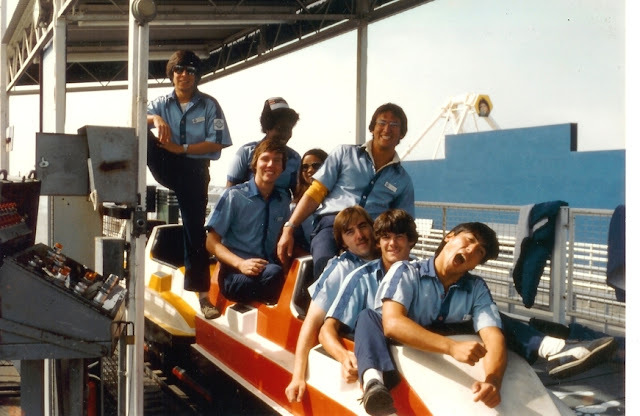 Before the invention of crazy inverted roller coasters that quickly came to populate other Bay Area amusement parks, the Jet Star was one of the most thrilling experiences on the West Coast. The ride began to rust in key places and the Seaside Company decided to upgrade rather than renovate. They sold the ride to Thrill-Vill USA in Salem, Oregon, which closed in 2007. The ride was dismantled permanently in 2010. The Italian-made, kit-based Hurricane roller coaster replaced the Jet Star in the spring of 1992. In many ways, it was the same sort of roller coaster as its predecessor, only bolder with more turns, giving credit to its windstorm-type name. There was much more space in the Hurricane than its predecessor, with trains of three cars able to hold a total of 12 passengers. 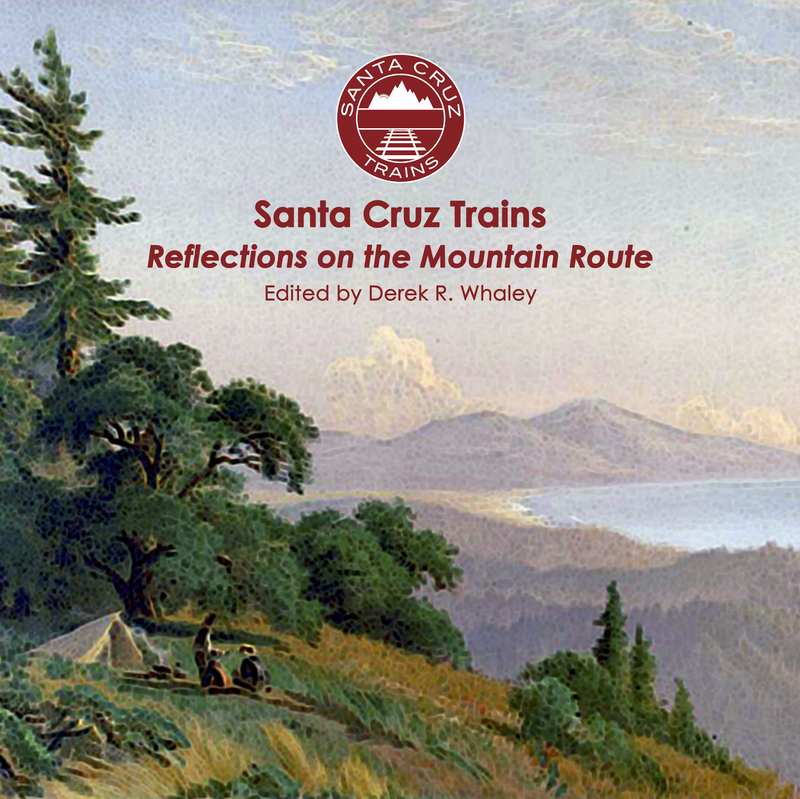 The ride began immediately with a climb to the top and then the train picked up momentum as it mostly circled downward in a funnel, although there were occasional drops of up to 30 feet. 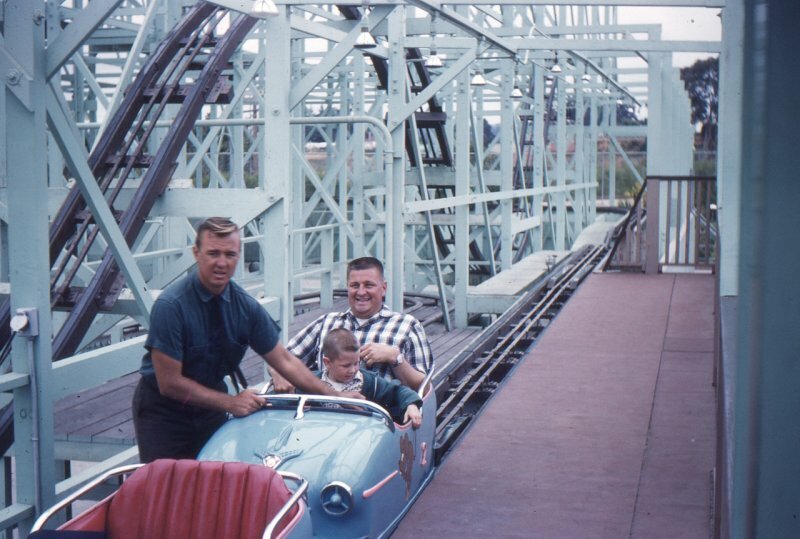 Overall, the coaster ran at roughly the same speed as the Jet Star and used less track, only 1,430 feet, but it remained a popular ride throughout its time at the Boardwalk. The Hurricane last operated on September 3, 2012, and was sold to Western Playland in New Mexico for around $500,000. An HD video of a ride on the coaster can be found here. 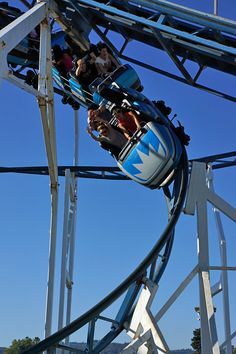 In many ways, the current Undertow roller coaster is a spiritual successor of the Wild Mouse, adopting some of its strange, jerky ways while using other newer techniques. 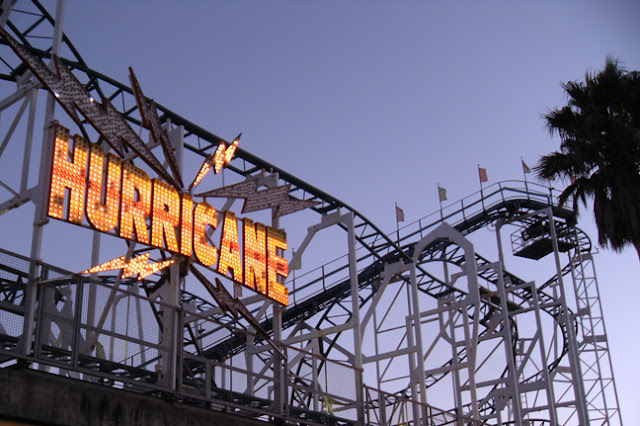 More literally, it is the successor of the Hurricane and Jet Star since it occupies the same space above the bumper cars ride that has been in place since 1972. Built by Maurer Söhne for $5.5 million as another kit-based German roller coaster, the Undertow remains the only spinning coaster in California. The ride features seven four-passenger cars that rotate on a central axel while the coaster moves, and different weight ratios between passengers accentuates the rotation differently. The coaster itself involves a climb 50 feet up and then gravity takes the ride the remainder of the way, although there are numerous rotation platforms that add an unexpected twist to the normal steel-pipe coaster style. Mimicking the Wild Mouse, there are also a number of hard, unbanked turns along the ride, although many of the other turns are adequately banked. Overall, there are 1,410 feet of track, which makes Undertow the shortest adult coaster at the Boardwalk in history, but the ride does achieve faster speeds than both of its predecessors. An HD video of a ride on the coaster can be found here. The original Boardwalk kitty coaster, the Orient Express was purchased in 1998 as a part of an overall redevelopment of the lower riverside section of the park. It was built by Wisdom Rides and was originally a travelling fairground coaster. Its single train could host up to 14 passengers and the track ran for 280 feet. The track's deepest drop was 8 feet and the ride reached speeds of 10 mph. In 2000, the ride was sold to Palace Playland in Old Orchard Beach, Maine, possibly due to complaints over its name and theme. It featured a Chinese dragon-style front and an Oriental themed loading kiosk. 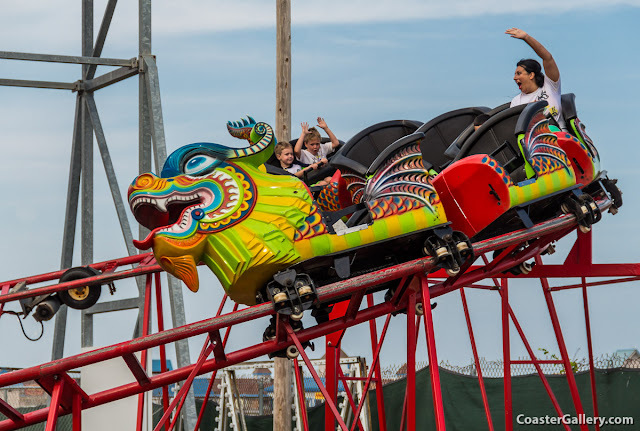 Perhaps the least-inspired and most obviously kit-built roller coaster at the Boardwalk is the family-oriented Sea Serpent, manufactured by Miler Coaster Company. This small coaster hosts a single 12-passenger train that rises to a height of 18 feet before dropping 13 feet along a 350-foot steel track. Usually, the ride is looped twice before detraining the passengers. It never breaks speeds of 10 mph, although the drop with the speed does give sufficient G-force for a brief thrill. The Sea Serpent was purchased in 2000 to replace the Orient Express and it has remained in place ever since. Canfield, Victor. "Wild Mouse Rides: Early History in North America." Roller Coaster and Other Ride Patents, 2015. Beal, Chandra Moira and Richad A. Santa Cruz Beach Boardwalk: The Early Years—Never a Dull Moment. Staab, Donaven. Boardwalk Fun Facts Memories. Santa Cruz Beach Boardwalk. "Remembering the Jet Star". Dante's Page, 2009. The pic of the couple on the Wild Mouse has gone viral(ish) on a local facebook heritage site. Claimed to be at Crystal Beach!